Linda graduated in Ma Maths and Music from Glasgow University then studied singing and opera at the RSAMD, (now Royal Conservatoire of Scotland). She then won a coveted place at the London Opera Centre, which led to her first professional contract with Opera for All. She was a member Scottish Opera for many years where she sang over 30 principal roles. 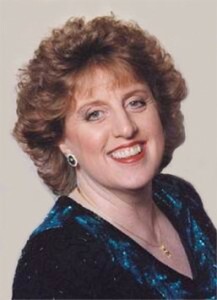 Linda has worked with most of the major opera companies in Britain as well as in Frankfurt, Brussells, Monte Carlo, New York, Tokyo, Vancouver and Lyons. She has performed at several festivals including Aix en Provence, Salzburg, Covent Garden, St Magnus and for seven successive years at the Edinburgh International Festival. Linda teaches at the Royal Conservatoire of Scotland. She also teaches at several summer schools including Oxenfoord and The Hague in Holland and examines at The Guildhall School of Music and the Welsh College of Music. She is an Honorary Doctor of Music from St Andrews University and in 2002 received an OBE for services to Opera. Linda has been teaching singing for MTC since 2005.